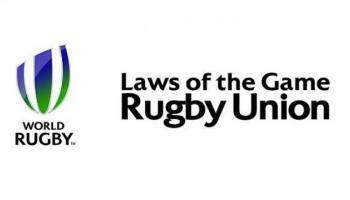 The online WR law exam found at https://laws.worldrugby.org/. We have been asked many times if this is Dangerous Play. This is not specified in Law 10.4, and the question cannot be answered with a simple yes or no because there are so many possible variations on the situation. It is dangerous to the opponent because that action brings boots into close proximity of a players face/head. It is dangerous to the ball carrier because if the defender manages to make contact while attempting to tackle, the ball carrier could get flipped and land on his head/neck. Jumping to avoid the outstretched arms of a diving tackle attempt from the side. In conclusion, if it is hurdling a standing (or crouched) defender directly in front of the ball carrier, it is dangerous. If it is something from paragraph three it is most likely fine. For the middle range, the referee needs to judge based on what is presented at the moment. Remember that a Penalty Kick has major benefits to a team, I.e. Kick for touch 30m+, kick at goal, etc. It is essential that we, as a community, stand together and work together to develop rugby in the United States. It will be through mutual respect and support that we grow the game. As referees, we need to ensure that we follow the above process regarding abuse as to eliminate it from the game. NOTE: If time expires and a team is awarded a PK, they may kick to touch to end the game, but they do not get to take the lineout. That was a trial Law approved by World Rugby for PRO Rugby and Super Rugby only. If you have any questions or need clarifications please feel free to contact me. Please review the second clarification from World Rugby this year. It addresses some specifics regarding the new section of Law 3.14 (Substituted Players Rejoining a Match – injured as a result of foul play). The clarification is very straightforward, but please write to me if you have any questions. Reminders for High School Season! Kurt Weaver, Director of Youth & High School Rugby provided these reminders for the high school season. We know you have heard this before, but it bears reminding as we have seen some matches played missing required items. Please let us know if you have questions around any item and enjoy your rugby. Medical Coverage is required for all HS matches in the USA, friendly and league play. Rugby Texas specifically requires a licensed trainer (LT). NOTE: Referee should not start match until medical is present. Squeeze Ball is illegal for all HS and Youth rugby. Fends to the head/neck/face are illegal for HS and Youth rugby. A legal fend used to be allowed if done correctly, but any contact with the head/neck/face is now liable for penalty. Thank you for your consideration and enjoy the spring season! Complete the Referee L1 Course & we’ll refund you the cost! Refereeing is a fun, exciting, non-contact way to be involved with Rugby. There are many reasons to take up officiating, you get to see all the action from the best position on the field, it’s a great way to keep fit, enhance your knowledge of the laws, and meet new and interesting people. The one-day Level 1 Referee course will teach you the fundamentals of the referee’s involvement in the game. The Course comprises of ten units of online learning and some face-to-face learning. Once you have completed the online and face-to-face sessions, you will have gained the skills and knowledge needed to be a fair and effective referee. What about my $60 bucks? Very simple! The next course will be held in conjunction with the TRU Summ it in Dallas, TX. Register, complete the certification course and then work with the Texas Rugby Referee Association to officiate four matches (we’ll provide a coaching and additional training) and then the TRU will refund you the course cost ($60). On top of that you will also receive a match reimbursement per match of at least $50, that’s $200 for a couple of weekends! In conjunction with the SWWC 7s Tournament we are hosting a Level 1 Referee Course. We are looking forward to grooming a team of new referees to take their place on Local, National and Olympic stages. We urge players, administrators, coaches, parents, spectators, and fans to consider giving back to the game by becoming a rugby referee. It is an incredibly rewarding experience and you have the best seat in the house! Also once you become a registered referee you are eligible for Kit, Match Fees and Mileage! Eligibility: This is the entry or introductory level course to rugby refereeing. Read below for course registration, participants must register for certification and material. Certification: Current USA Rugby membership, including registration as a referee, attend and participate in all course modules, pass online law exam and rugby ready exam prior to course, and complete short safety quiz administered at course site. Description: The purpose of this introductory course is to enable officials to acquire basic skills to officiate safe, enjoyable competition. Course certification is required for anyone who wishes to referee any match that could potentially lead to a National Championship. The course focuses on: Game knowledge, Role of the referee, Planning, Advantage, Touch, Principles of rugby, Positioning, Referee preparation, Open play, Lineout, Principles of refereeing, Communication, Technical, Contact, Foul play, Management, Risk management, Starting & restarting the game, Scrum, and how to have fun as a rugby referee. Referee Certifications – Host & Attendees Wanted! This fall TRRA would like to host several Referee Certification Courses! We are also looking for hosts of these events, if you are interested, please let admin@texasrugbyunion.com know ASAP! Level 1 Certification – Date TBD – HOST NEEDED! The purpose of this course is to enable officials to acquire basic skills to officiate safe, enjoyable competition. Level 2 Certification – 10/11/14 – HOST NEEDED! Prerequisites: Current USA Rugby membership, including registration as a referee; Level 1 Officiating course certification or equivalent and one full season of refereeing. The purpose of this course is to enable officials to develop further the skills acquired in the introductory course so as to officiate safe, enjoyable competition. Course accreditation is one requirement for promotion to the Territorial Panel. Level 1 Coaching Match Officials – 10/4/14** | Austin, TX | HOST NEEDED! Prerequisites: Current USA Rugby membership. The purpose of this course is to introduce the concept and role of referee coaching to enable assistance and guidance to develop the referee. **We would highly recommend that all team coaches take this course to aid in their understanding of the development of referees. Scott Green & Wendy Young Have Received USA Rugby Referee Appointments! Congratulations to Scott and Wendy as they have received appointments again at USA Rugby National Championships. Please take a moment and help us congratulate these two as they are very hard working referees and deserving of these appointments. Note that Green has also received several D1A, PRP & NACRA Test Match (Assistant Referee) appointments this year as well. For more information on the upcoming tournaments, go here and here. 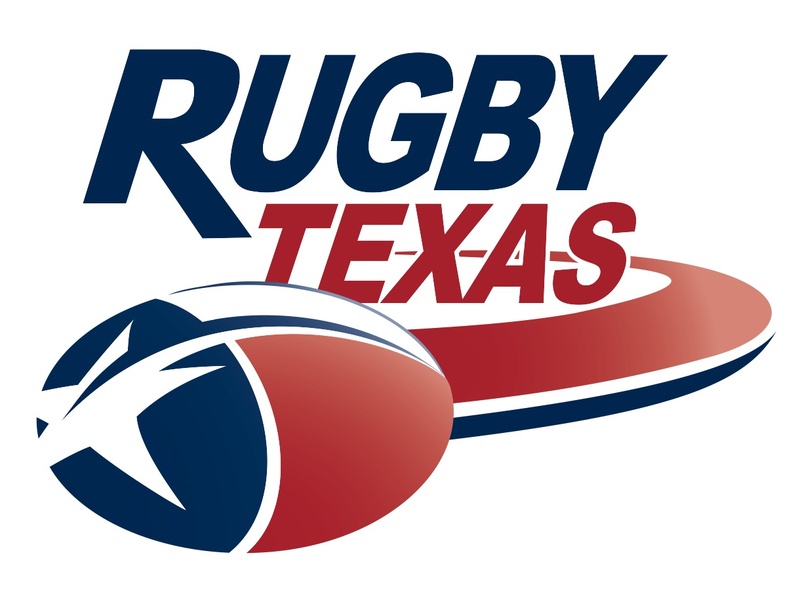 The TRRA services the Texas Rugby Geographic Union and the Red River Rugby Conference. This includes teams from Texas, Oklahoma, Louisiana and Arkansas. Referee contact information can be found by registered users of the new calendaring system, Whostheref.com. Once logged in, go to Contacts and change the Roles dropdown to be Referee and choose Find.